1. How do I book my French courses and my accommodation with LSF? 2. How do I pay for my courses and my accommodation? 3. What is the minimum age for students at the school? 4. What if I want to stay longer at LSF than I initially planned to? 5. When is the latest time I can book my course? 6. When should I pay, and how? 2. I need a visa to come to France, can LSF help me with my application? 8. How will I find my accommodation after arriving in Montpellier? 9. How will I recognize my host family when I arrive? 1. Where is LSF located? 2. When is the school open? 3. What time should I be at the school on my first day? 4. What should I bring with me to the school on the first day? 5. What languages do you speak at the school? 6. What facilities are there at LSF? 7. Will I have access to the Internet at LSF? 1. What are the different language levels? 2. What is a “Full beginner”? 3. How do I know what level I have? 4. What is the minimum level required to attend a course? 5. How do I progress between language levels? 1. What languages are used during the courses? 2. Do I need to buy any course books or course materials? 3. How many students will there be in my class? 4. How old will the other students be and where will they be from? 5. When can I start my course? 6. I am a Full beginner, can I start my course on start dates other than those published? 7. Can I change course after I have started? 9. Will I get a certificate at the end of my stay as a proof of the class taken? 10. What are the DELF DALF exams? 11. Can I prepare for the DELF DALF exams at LSF? 12. What is the success rate of students preparing for the DELF DALF exams with LSF? 13. What should I do to sign up for an internship? 14. I am from a non-EU country and would like to do an internship. Can LSF help me? 1. Which accommodation option should I choose? 2. How do you select your host families? 3. How do you find a host family that suits me? 4. If I’m staying with a host family, do I need to bring sheets and towels? 5. Will I be able to do my laundry at my host family? 6. I would like to be rather independent but still stay with a host family, is this possible? 7. Can I stay in a host family really near the school? 8. What is a student residence? 9. How far away from the school are the student residences? 10. What is an apart-hotel? 11. Is it possible to stay in a hotel? 12. How will I find my way to my accommodation? 13. Is it possible to book a French course without accommodation? 14. Is it possible to book accommodation without booking a French course? 1. Do you organize any social activities and excursions? 2. What sort of activities and excursions do you organize? 3. How do I sign up for the activities and excursions? 4. How do I pay for the activities and excursions? – You can book directly through our website, by contacting us by email/phone, or directly at our school if you are already in Montpellier. – We accept payment by bank transfer, by credit card (at school or by phone) or by cheque drawn on a French bank account. You can also pay the deposit when you book online (avalaible for some courses only). – In the adult main school we accept students aged 16+ and in the junior school students aged 11+. – You just have to tell us as soon as possible so that we can check if there is still availability, for both your course and accommodation. – We can accept bookings, subject to lesson and host family availability, up to the Thursday before the weekend arrival. – Payment should be made in full at least one month before the course start date. For students who book at the last minute, payment must be made in full on the first morning of the course. – If you need a visa to come to France depends on your nationality. For stays up to 3 months a tourist visa is normally acceptable, but please contact the French consulate or embassy in your country for more detailed information on this subject. – Yes, as soon as we receive your application we provide written confirmation of your provisional booking as well as an invoice. Once LSF has received full payment for your stay, we will send you a visa invitation letter, which should be presented with the booking confirmation and invoice to the French Embassy as soon as possible. You should present the original documents, so any special delivery charges (e.g. delivery by DHL, UPS…) incurred by LSF must be paid by you. If your visa is refused, we will return all your money minus the non-refundable registration fee (80 euros). – For your stay in France you need nothing particular, except your swimming things (in summer) and much motivation to learn French and curiosity for its unique culture. – It is up to you to take out full health insurance before coming to France. For students from EEC countries, it is advisable to obtain a European Health Insurance Card from your local social security office before travelling. – LSF suggests a budget of between 75 € and 100 € per week. However, it is important to consider a possible price difference in terms of the cost of food and clothes between France and your home country. – A student week begins on Sunday, and ends on Saturday. We must be informed as soon as possible if your travelling timetable does not coincide with this, in which case an extra night supplement will be charged. – If a host family picks you up directly at the airport or train station, they will have a board with your name on it. Before arrival you will receive your host family profile, which includes a photo of the host family and their email address among other information. So you may like to send them a photo of yourself before arrival, so that they can recognise you. – The LSF adult school is located in the heart of the city centre. Montpellier has 4 tram lines and many bus routes, which bring you from almost anywhere in Montpellier to the city centre (Gare/Place de Comedie). From there you are only 5 minutes’ walking distance away from LSF. – Monday 8.00am – 4.30pm. Tuesday – Friday 8.30am – 4.30pm. The school is closed on bank holidays (see the dates on our pricelist). – Your first day at LSF will start at 8.30. – Everything you need will be handed to you as soon as you arrive at the school. The only thing you have to bring is a smile and a lot of enthusiasm! – French, English, Spanish, Swedish and Italian. – LSF has 20 fully equipped, spacious and light classrooms. The school has a wonderful private garden, ideal to relax in the sun during break times. You have fresh drinks available as well as a coffee machine that serves you coffee, tea and hot chocolate and a snack vending-machine. LSF has 5 Interactive flat panels. To practice your French skills outside the classroom you may borrow French books and French language DVDs from our small library, use our E-learning platform. – Yes. At LSF there are computers with high-speed Internet access at your disposal. You can also access the Internet wirelessly through our WIFI. LSF has 7 computers which students can use freely. – LSF offers courses for Full beginners and for all the language levels according to the Common European Framework. – A Full beginner is somebody who is not able to introduce himself in French (age, nationality, family, leisure and work/studies), and not able to ask simple questions in French, describe his activities or speak about his daily routine. – Before arrival you will receive an email asking you to complete a 45-minute pre-course French level test that you will fill online. On the first morning of the course you will take an oral placement test with one of our teacher (during busy periods you may not be asked to take the oral test). You will then be placed in a class appropriate to your level of French. – We accept Full beginners. – During your stay regular tests measuring your progress will be made. You will be moved up to the next class when our teaching staff considers you ready to do so. – No. You will receive all course materials free-of-charge. – Each adult class is limited to 10 students. The minimum number of students in a group is 3. Usually there are between 5 – 8 students in a class. – LSF receives students from all over the world (over 80 different nationalities in 2015!) and of varied ages. Nevertheless, the average age of our students is between 18-30. – No. The start date of courses for complete beginners are organised one Monday per month. If beginners arrive on other dates, LSF reserves the right to place the student in the lowest level group that week, or to transform the group lessons into 1-1 or semi-individual lessons- in this case the number of lessons is reduced by half. – Yes subject to availability but we always do our best to meet your requirements and make you feel comfortable with your class and the French course you have chosen. – The minimum stay is 1 week, but most students stay a lot longer. Most students who come for only one week find this particularly frustrating, as they are just settling in when they have to leave. – Yes. You will receive a certificate of attendance at the end of your course, which indicates the dates of your stay and your level according to the Common European Framework. – The DELF and DALF are French proficiency certifications for non-native speakers of French. Find more information about DELF DALF exams. – Yes, sure, it’s a good way to get official recognition of your French level during your stay in France. For students intending to stay at LSF at least 5 weeks, regardless of their level of French at the beginning, we strongly recommend that they take the DELF or DALF exam. LSF also offers special DELF DALF Exam preparation courses to prepare students for the DELF DALF exams in 5 weeks. – Almost 100%! However, keep in mind that, as with any exam, there is a lot of hard work involved in preparing for the exams. Each student’s motivation and amount of work outside the classroom are big contributing factors. – You should fill in the application form and send it to us with your CV and a letter of motivation, both in French, together with 2 passport-style photos. Only when we have received all of this can we start to process your booking. Please note that we require a minimum of 8 weeks to organize a placement, and that it is less easy to find one in the summer season, when companies work with a reduced workforce or close down completely. – It is possible for non-EU citizens to do our internship programme, but the entry requirements are much more bureaucratic and thus take a lot longer. Please give yourself plenty of time when applying for this programme. – For a stay in a host family, we find in general that northern Europeans often choose the Self-Catering or Bed and Breakfast option, but often end up paying the host family for dinner anyway. There is no doubt that the Half-Board option enables students to take advantage of meal times to speak at length with their host family, and thus to make the most progress in French. – LSF selects its families very carefully. Personal visits are made to verify the quality of the accommodation and the location. – We have detailed profiles of the host families that allow us to try matching them with your profile as much as possible. If you want to change your host family, we will do our best to transfer you to another family as soon as possible. – No. Your host family will provide you with everything needed. Of course if you prefer your own towel or sheets then you may bring them. – Yes, you will be able to do your laundry during your stay with host family. – It is possible to stay with a host family, but organise your meals yourself on a self-catering basis. However, not all families propose this option, so it is important to book well in advance. – We try our best to match students with families according to their needs and interests (e.g. special dietary requirements, allergies, parking space, etc. ), but this depends on many factors and is done on a first-come first-served basis. Please be aware that some students book more than six months before coming, so if you only book a few weeks before your arrival at a peak time it is not sure we will able to place you near the school. For students not staying in the town centre, we try to place them in families living near the tramway or bus service. – A student residence is a large residence used by students during their studies. In the student residence the accommodation will be reserved in a single or shared ‘studio’ (there is only a very limited number of shared studios, allocated on a first-come first-served basis, but no studios with double beds), with en-suite shower, washbasin and toilet, fridge, microwave oven and cooking utensils and free unlimited Wi-Fi access. – The two students residences, Clemenceau and Observatoire, are located between 5 and 10 minutes’ walking distance from the LSF school. – An apart-hotel is a self-catering apartment that you can rent, just like a hotel. Examples of these in Montpellier are Citadines Antigone, Consuls de Mer, Appart’City l’Orangerie and Goélia SunCity. – Yes. LSF has special rates with some 2, 3 and 4 star hotels and apart-hotels in Montpellier. Please consult here our pricelist. However, often you may get better deals by booking directly with the hotel through Internet booking sites. Please book early for this option, as hotels are often fully booked, particularly in the peak summer season (May to October) and when big congresses are taking place in Montpellier. – You should contact your Host family directly by the latest on the Tuesday before your arrival, letting them know your arrival time and place. We cannot guarantee that your host-family will be there to meet you if they do not have the necessary information by the Tuesday prior to your arrival. For Residential students, when you arrive in Montpellier railway station please go directly to your accommodation by bus or taxi, unless you have booked an arrival transfer at the Montpellier airport in which case you will be met by an LSF staff member. There are no railway station transfers for adult students to/from Résidence l’Observatoire (300m from the station) nor to/from Résidence le Clemenceau (1 km from the station, taxi fare around 15-20 €). 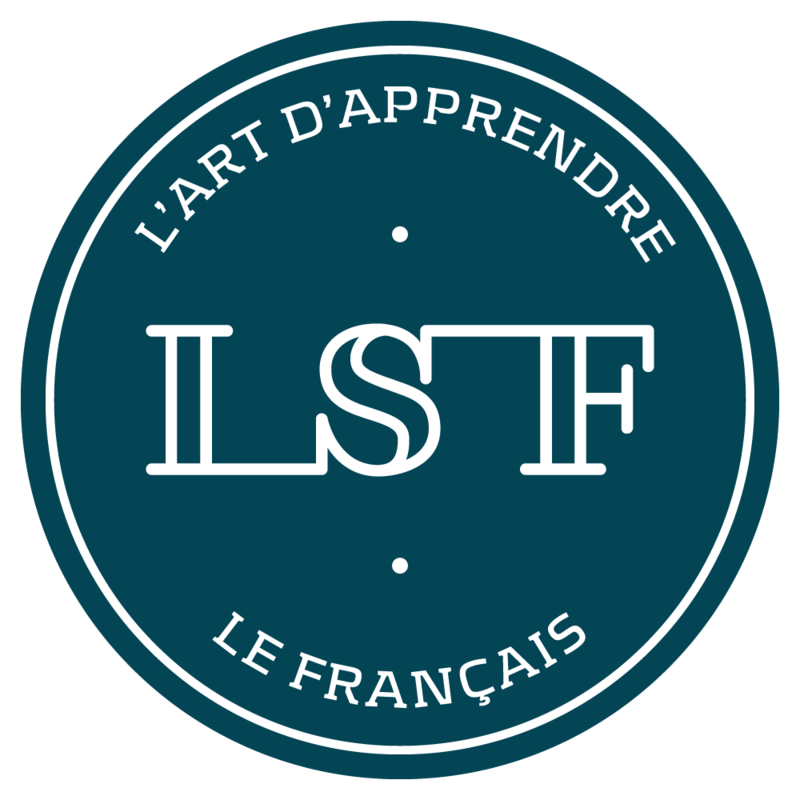 – Yes, you can book a French course at LSF without accommodation. – No, we do not propose only accommodation without a French course. However, if a partner who does not want to do a French course at LSF is accompanying someone who is booked to do a course at LSF, we will find accommodation for that partner, and will charge a 75 € registration fee for the partner. – All year around we offer students a varied activity and excursion programme, which changes every week and caters to the profiles of the students present in the school at that time. – Typical activities organised may include welcome drinks in a local bar, meals in a local restaurants or crêperie, wine- and cheese-tasting, French cooking lessons, bowling, ice-skating, visits to local museums, beach trips, bike rides and town/country walks, horse-riding in Camargue, canoeing on the Herault river, excursions to local towns and places of interest…Please consult here our pricelist. – All activities and excursions for adults are optional and on a pay-as-you-go basis. If you are interested, you just write your name down on the activities board inside the school. – You can pay directly at LSF at least 2 days before the activity or excursion takes place.